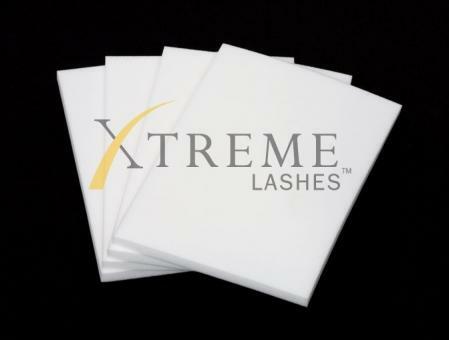 Application Sponges 4 x 6 are larger and provide an expanded work surface, that is six times larger than our classic sponges for lining up multiple sizes and colours of your Xtreme Lashes® and keeping your work space contained. 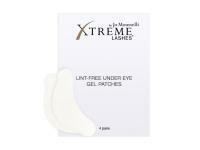 Aesthetic Sponges 4 x 6 are larger and provide an expanded work surface, that is six times larger than our classic sponges for lining up multiple sizes and colours of your Xtreme Lashes®. Constructed of higher-grade foam than our standard Aesthetic Sponges these have more flexibility and bounce making lash pickup quicker and easier than ever. The higher density also ensures your tweezers don’t pick up any added fibers or filaments from the sponge itself while picking up lashes. 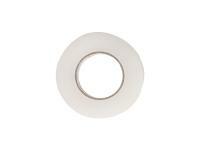 Made from hypoallergenic, latex-free foam.